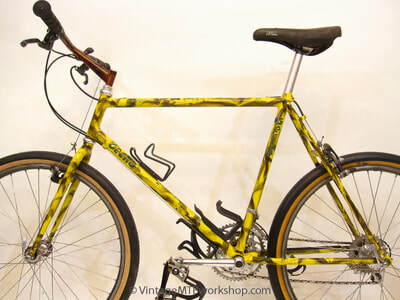 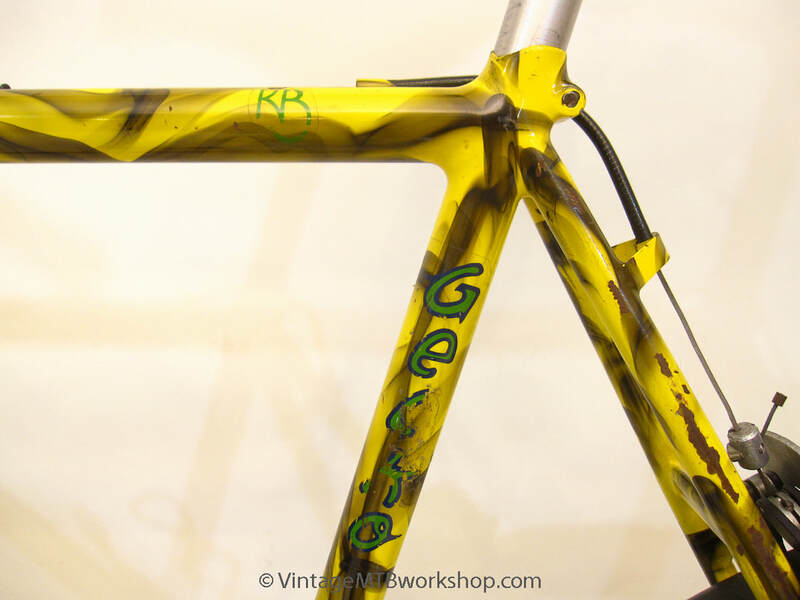 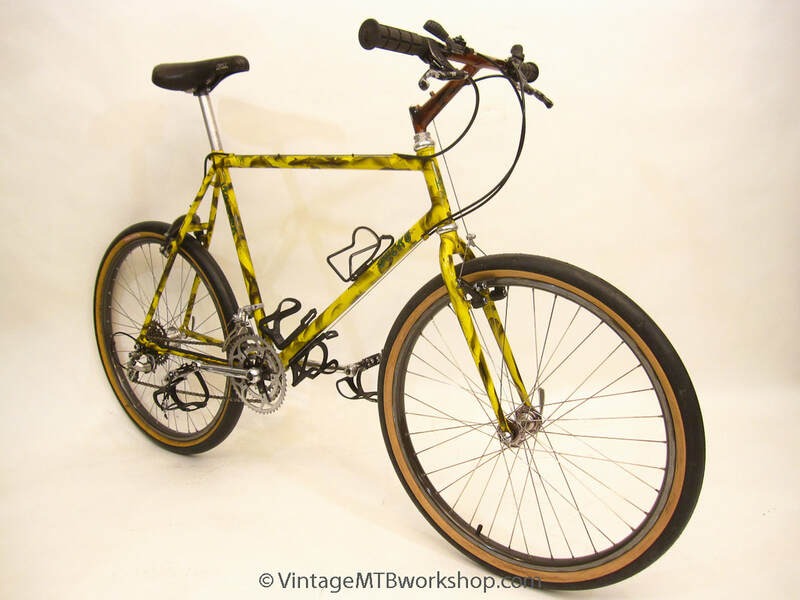 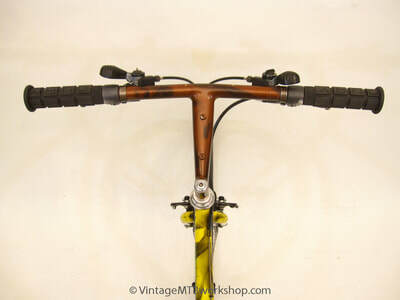 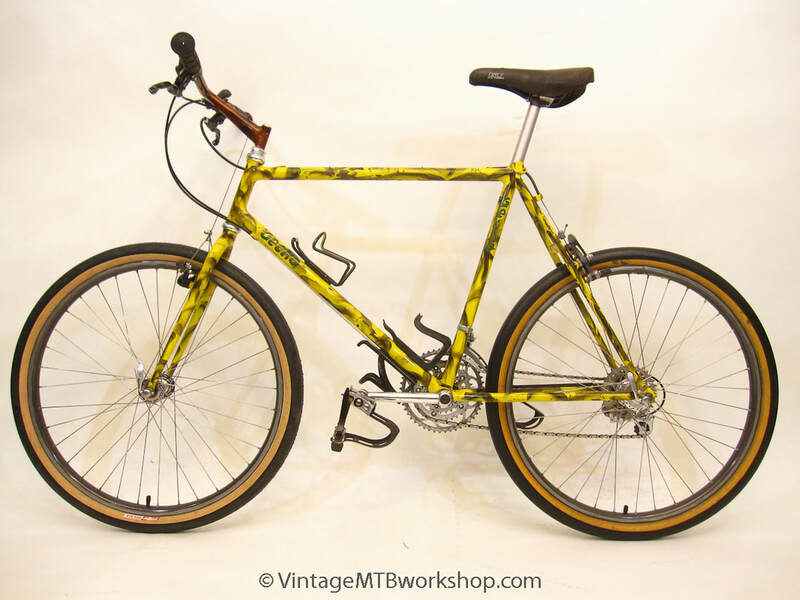 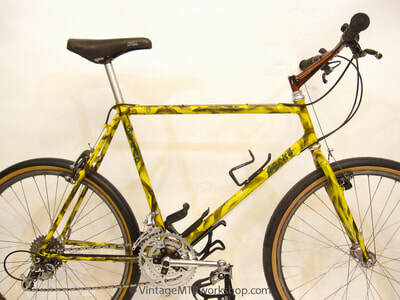 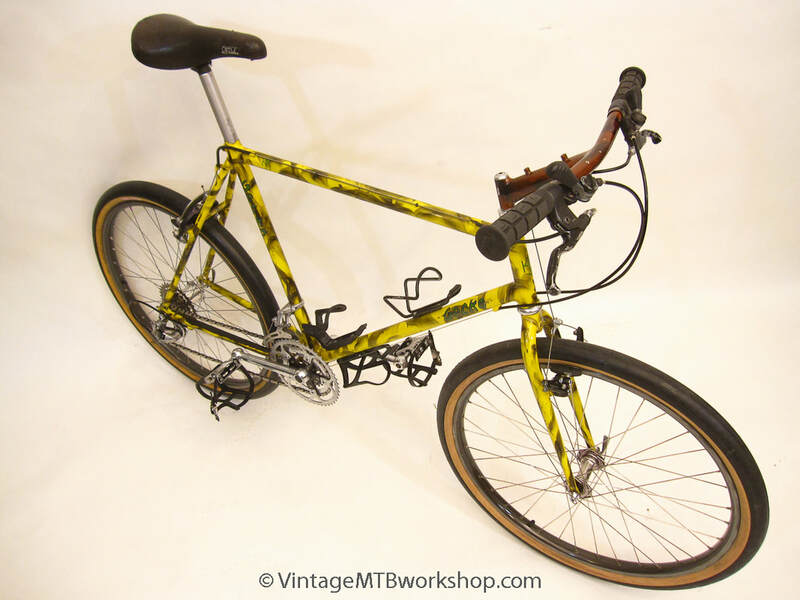 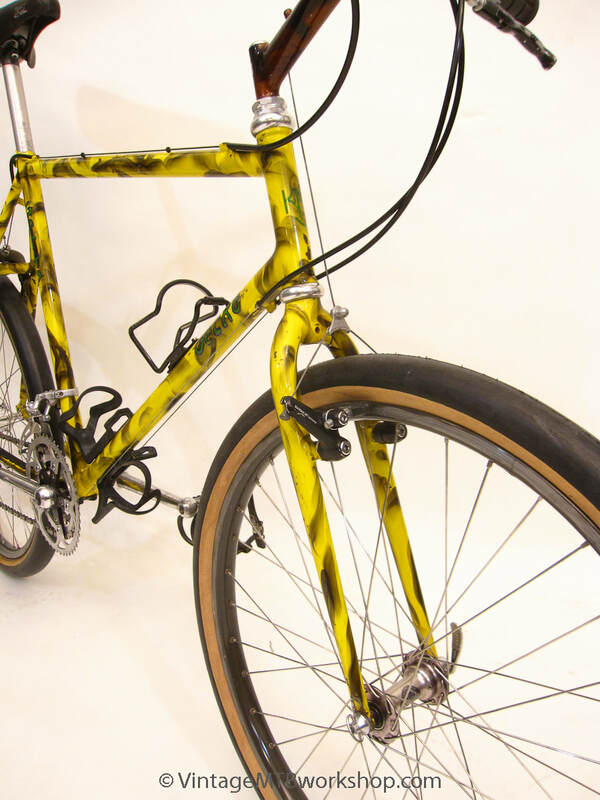 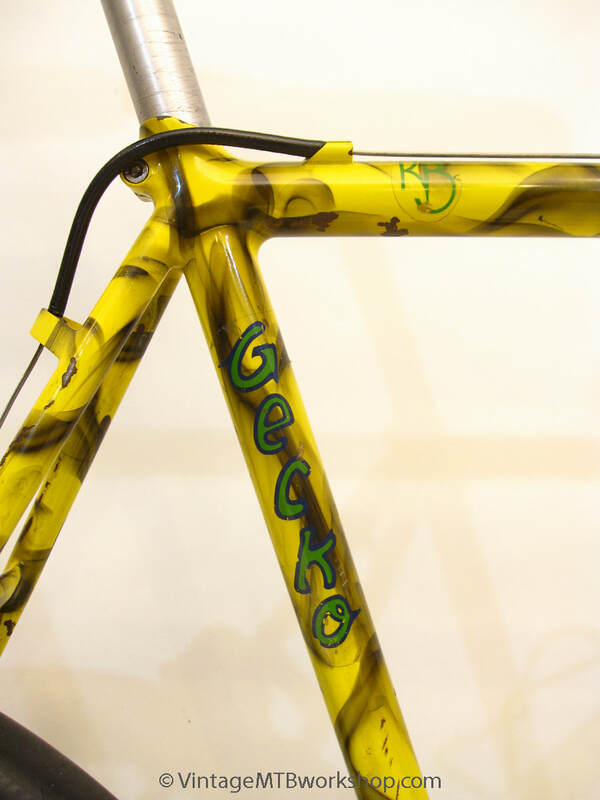 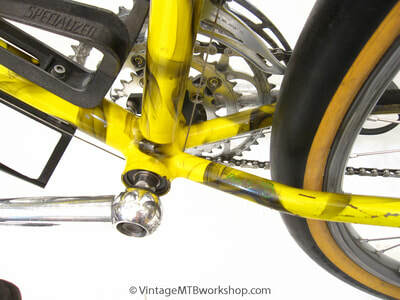 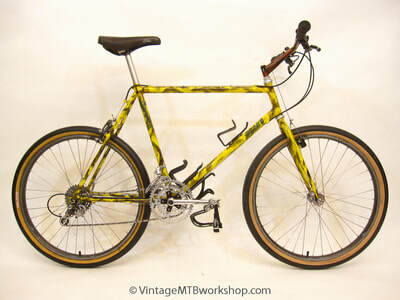 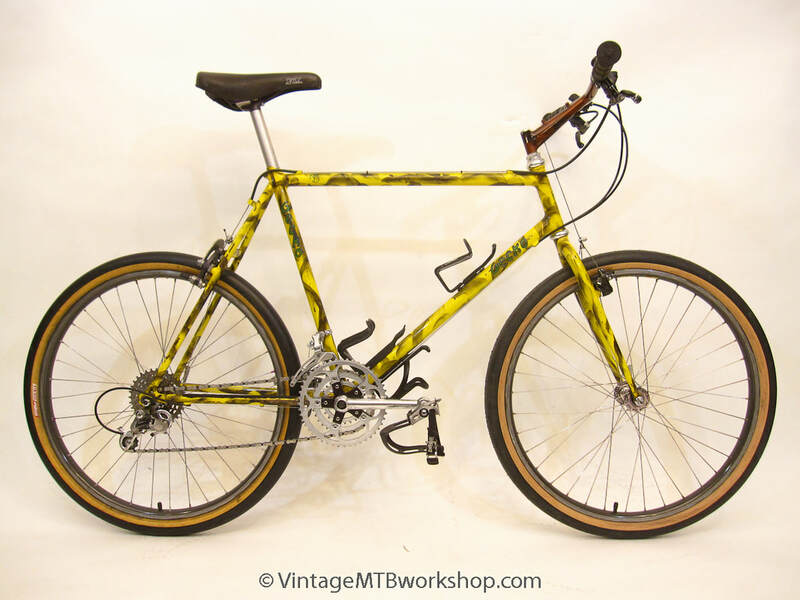 The Gecko Slickrock was a specialty model built by Ken Beach of Santa Barbara, CA for the rigors of technical riding such as that found in Moab, UT. 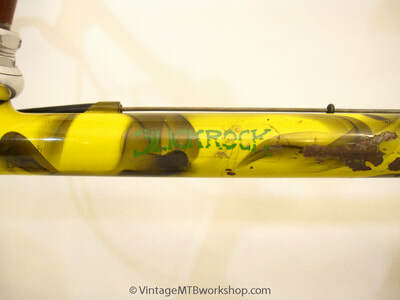 Often ridden very hard by their owners, many of the dozen or so Slickrocks made no longer exist today. 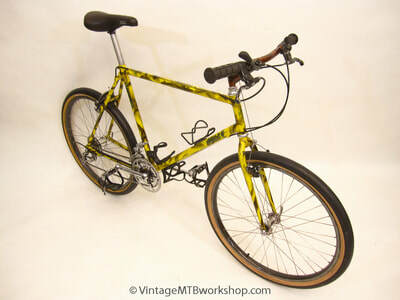 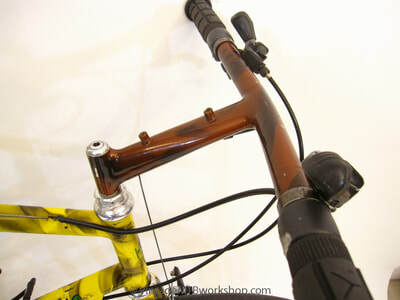 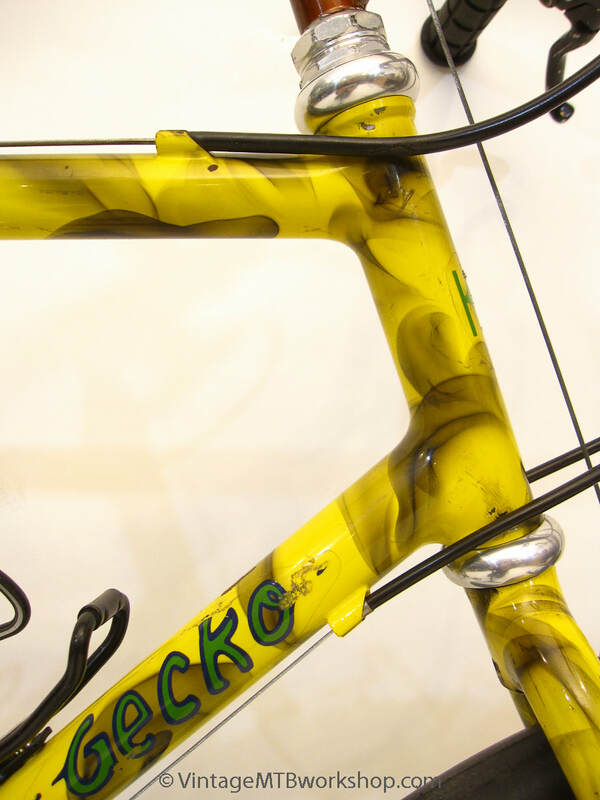 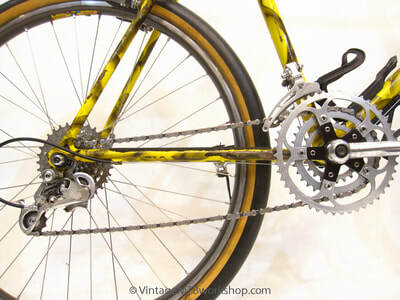 This surviving example is the second Slickrock made for Moab mountain biking pioneer Todd Campbell. 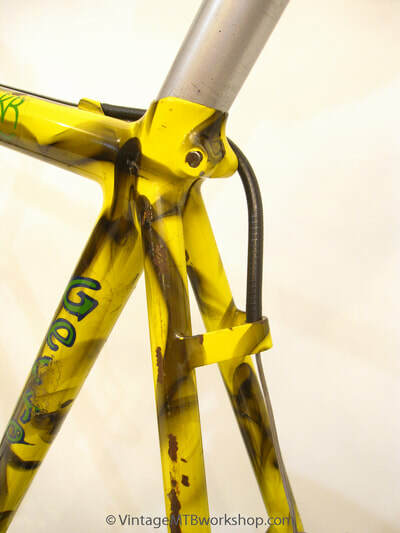 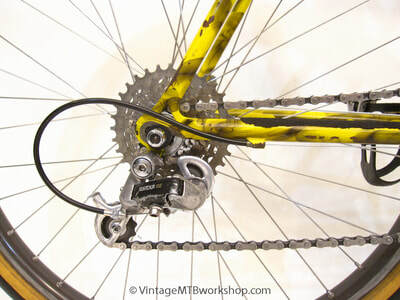 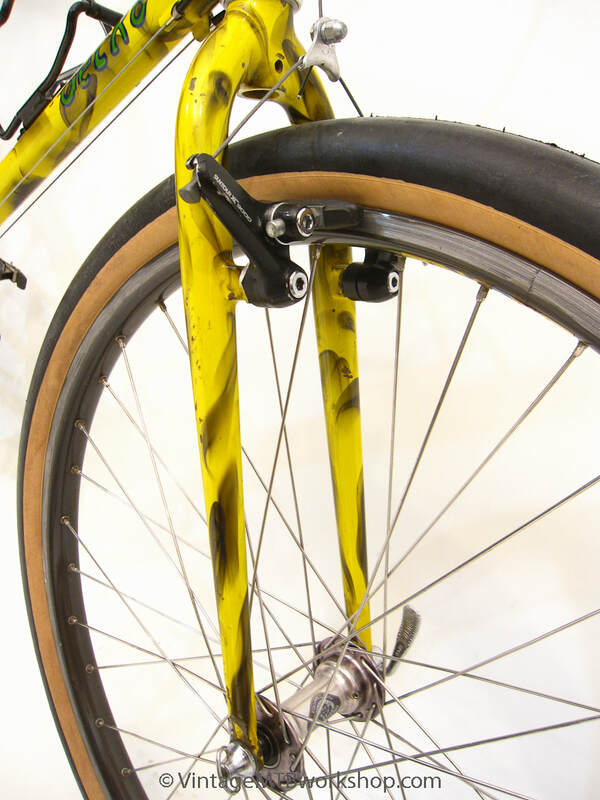 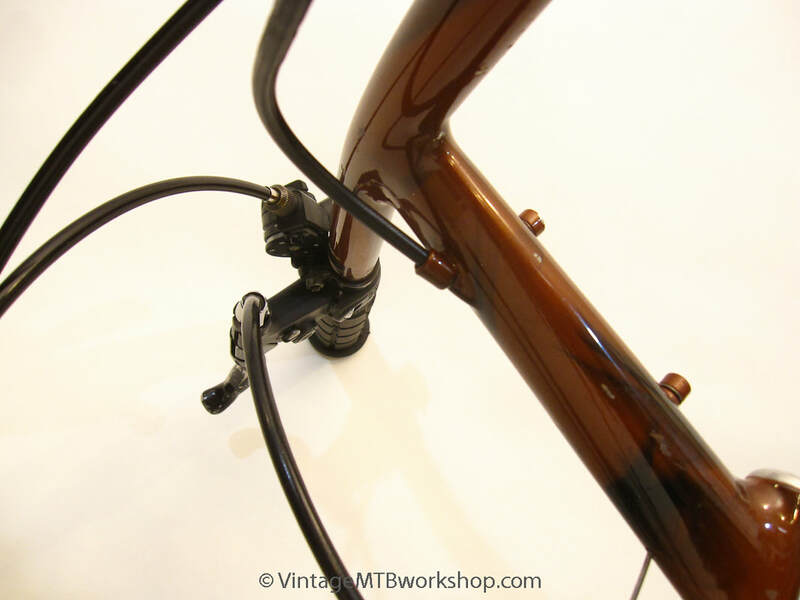 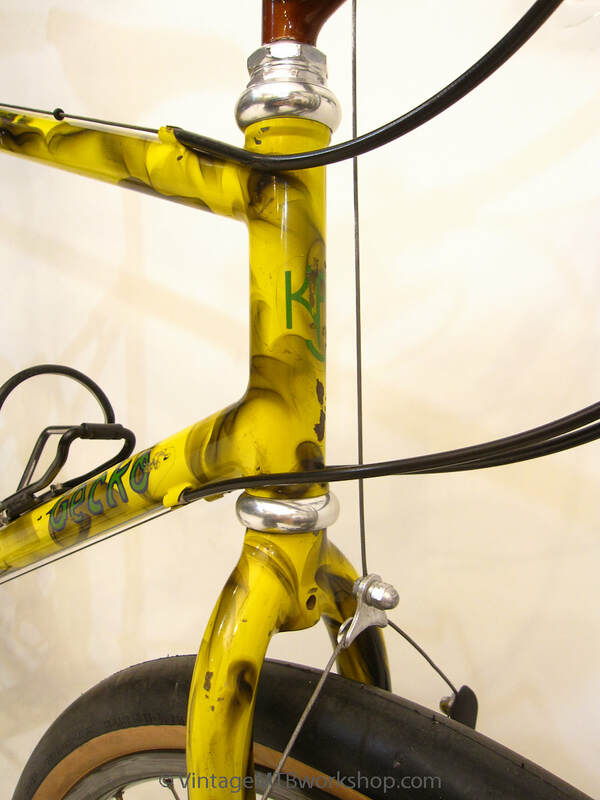 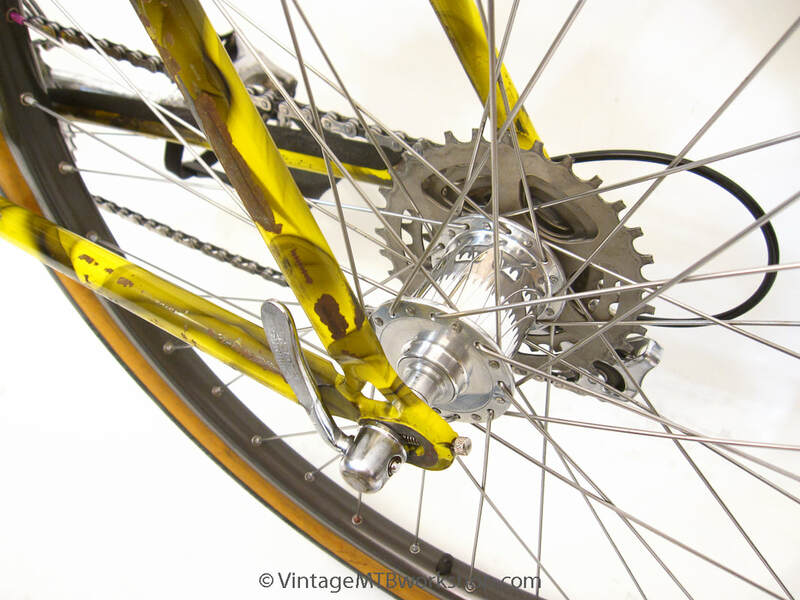 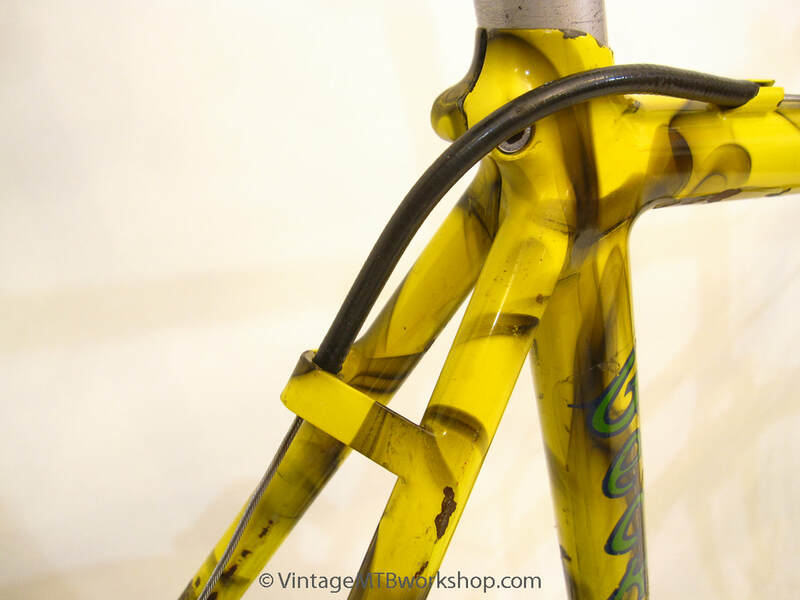 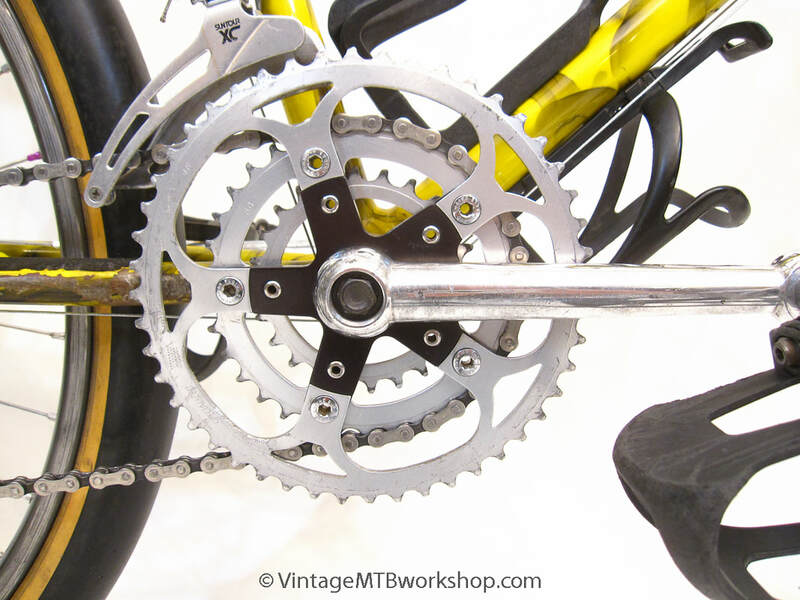 His first Slickrock, and the first mountain bike made by Beach, was appropriately nicknamed the Brass Barbell for its straight gauge tubing and hefty weight. 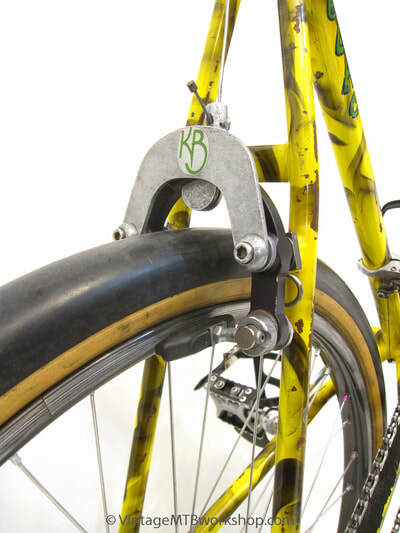 The bike is designed with a very high bottom bracket, with no drop below the wheel axles, in order to provide better clearance for riding over obstacles and traversing slopes. The build of the bike also reflects what worked best for Moab riding, including an IRD Rotary brake for supreme stopping power, Suntour pedals which have been shaved down on the outside for traversing slopes, burly Cook Brothers Racing cranks for maximum power transfer, wide Mavic Oxygen rims and 36 hole hubs for durability, and smooth Avocet City tires for the high-traction sandstone. Incidentally, the term "slickrock" refers to the lack of traction for horses wearing metal horseshoes. 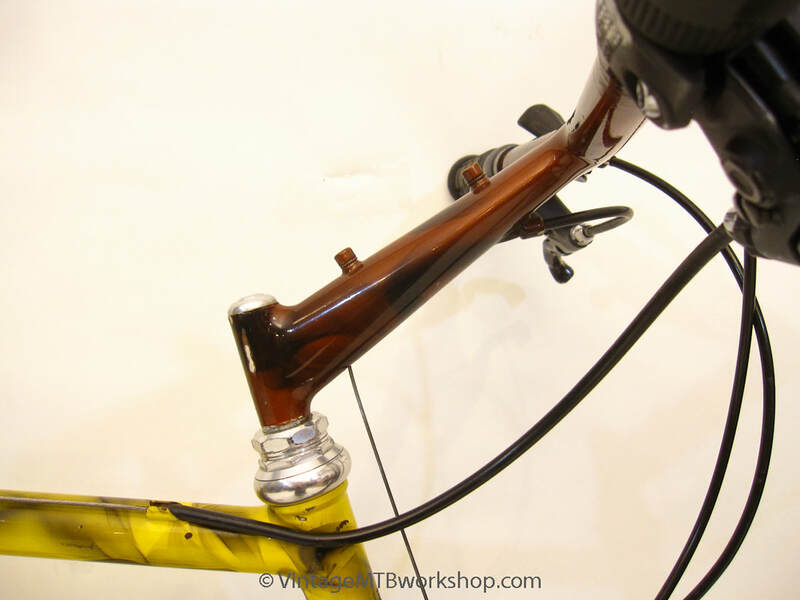 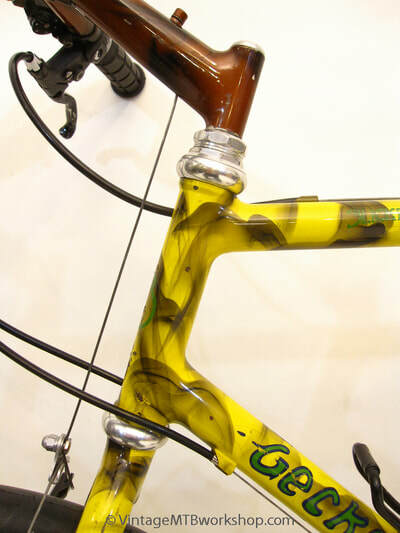 As a matter of practicality for the hot desert environment, the bike has placement for 4 water bottles cages, including one on the top of the stem. 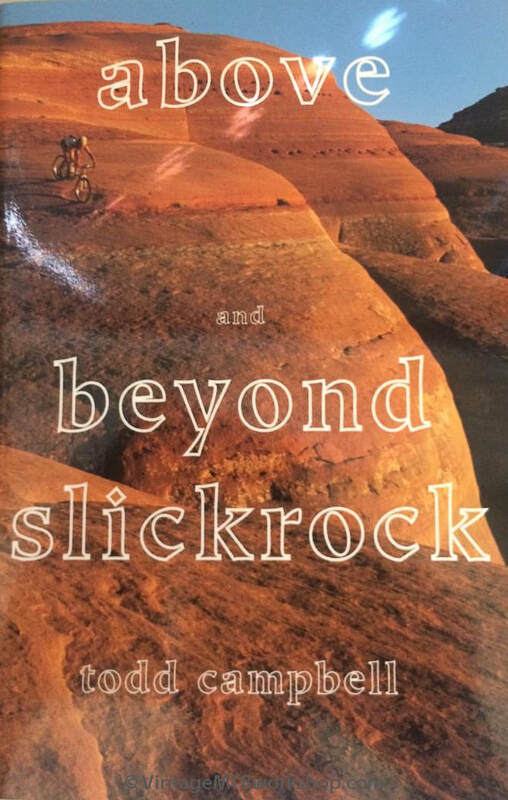 The bike was featured being ridden on a harrowing drop by Campbell on the cover of his seminal book "Above and Beyond Slickrock." 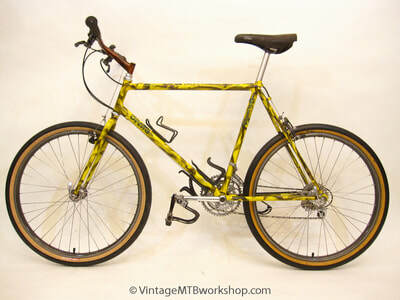 Mr. Rocksteady knew how to ride a bike.